Are you searching for a reliable, pre-owned vehicle in the Edmonton, AB area? If so, then you are in luck as there are a number of terrific options available for you to explore! 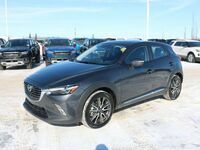 Some of the best pre-owned vehicles found in the Edmonton area are manufactured by Mazda. Customers in the area can explore an excellent inventory of pre-owned Mazda vehicles here at Go Auto Express! Mazda manufactures several excellent vehicles that customers are sure to love. Mazda vehicles are some of the most reliable vehicles currently on the road today! As a result of their excellent reliability, Mazda vehicles are some of the most popular vehicles in the pre-owned vehicle marketplace. Mazda vehicles typically feature some of the most innovative technology in the industry. Let’s explore the excellent aspects of the Mazda vehicle lineup together! If you are interested in exploring the excellent pre-owned Mazda models available at Go Auto Express, then you should contact the staff today! Our team is here to answer any questions that you may have. Visit our dealership in Edmonton, AB today!